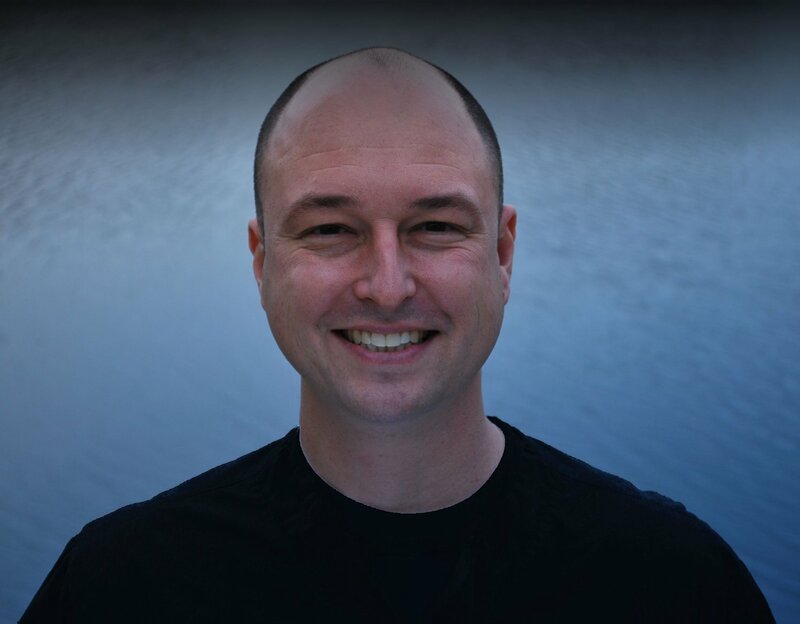 Here at White Wolf Dental we pride ourselves in patient education and post articles to inform our patient’s about the latest advancements within dentistry. This time we will be doing something different; sharing a story. A woman in her early 50’s came to our office tired of wearing her partial dentures and not wanting to smile due to the appearance of her teeth. She wanted to have a smile that was not removable, even while in a temporary phase. Below you can see Ms. Smith’s smile with and without her old nylon partial dentures. Ms. Smith has had a history of very aggressive gum disease. Millions of Americans live with gum disease which can be managed, though at this point there is no cure. She had very few remaining teeth, as the photo above shows. 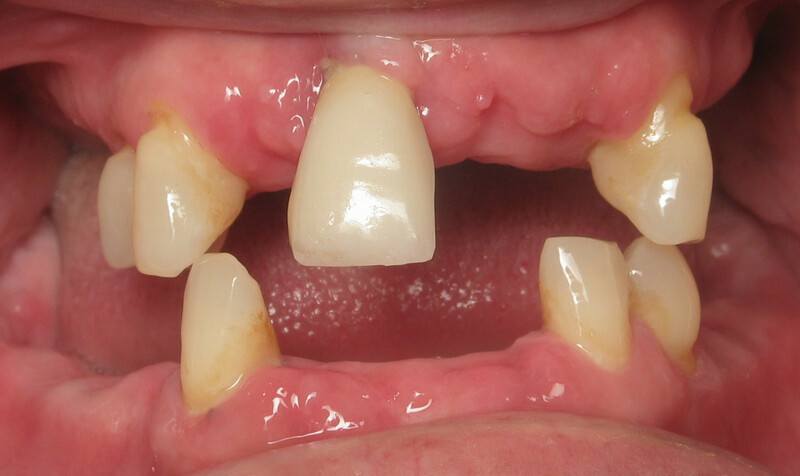 Due to a lack of bone support from this aggressive gum disease, fixed bridges would not be an appropriate alternative. When gum disease reaches a very aggressive point, the only option left is extractions. Ms. Smith has family and friends that wear full dentures. She has heard many stories and complaints, particularity with the lower denture which tends to have no stability. She knew implants were an option, but feared that due to the aggressiveness of her gum disease there would not be much bone remaining. Thankfully, technology has improved to allow us to take a 3D scan like the one below and analyze the bone in great detail. We began the process of Teeth-in-a-Day by taking the 3D scan and study models. 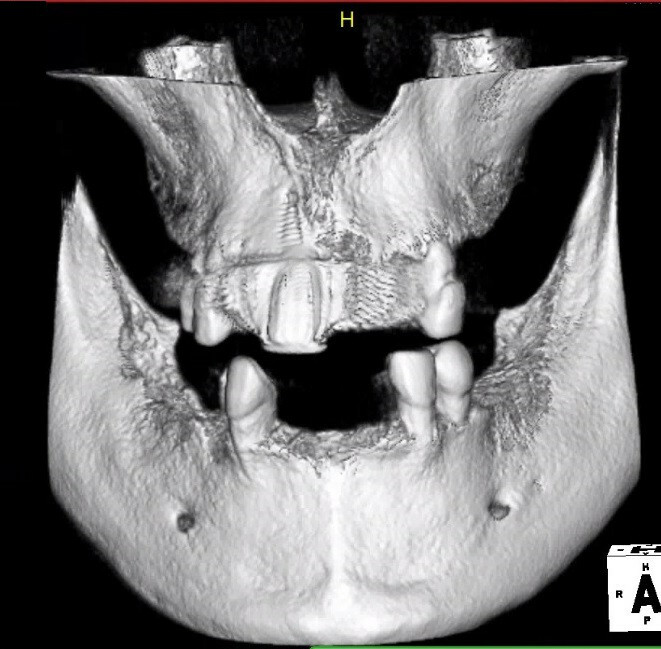 From this information our team of doctors digitally planned the implants to place them into ideal bone. We also modeled her new smile based on this information. All this planning let Ms. Smith walk in with her old teeth and walk out with a new beautiful, fully functional smile the same day. Her first set of teeth placed on the day of surgery were her temporary set, but they were screwed into place and non removable. 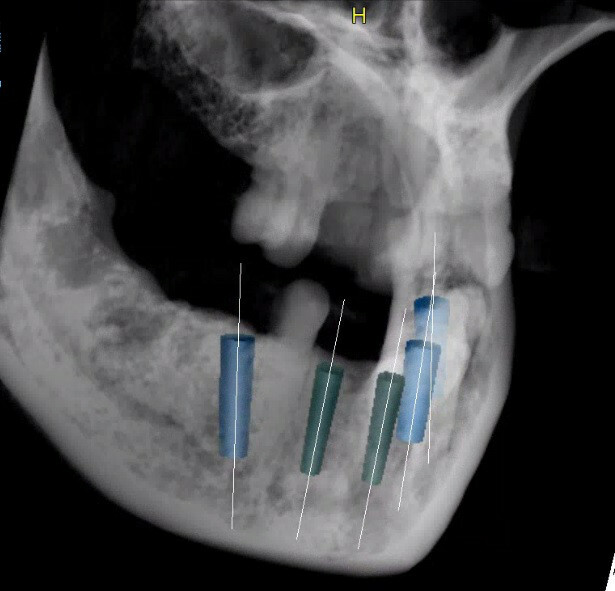 We make our temporaries very robust by adding a metal frame for support and pins in the teeth to lessen the chance of breakage while we wait for the bone and implants to heal for about 6 months. 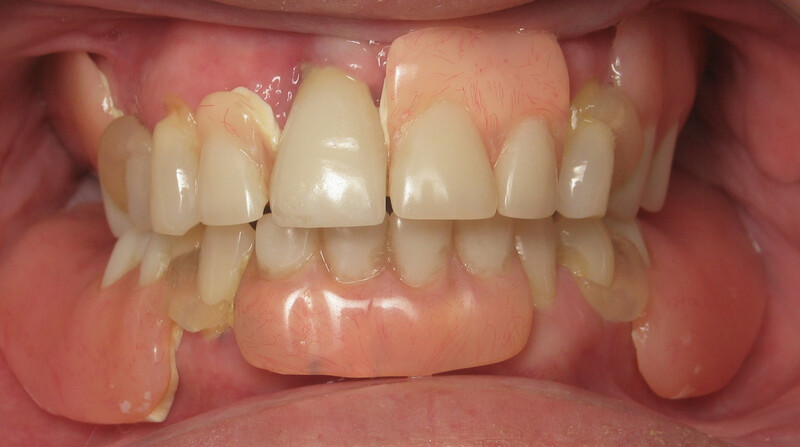 Below is Ms. Smith’s temporary smile and implant planning. Note that the red spot between the teeth in this photo is not blood, but a bit of wax left over from the process of molding the denture. This wax is not harmful and is easily cleaned off with a toothbrush. After some healing time we began the process of making Ms. Smith her new smile. At White Wolf Dental we do not have the option of plastic teeth over a metal bar, which is the most common type of prosthesis for teeth in a day. Instead we offer two options: the Diamond Hybrid, which was developed right here in our office, or a full Zirconia prosthesis. Our Diamond Hybrid is the same cost as the common plastic teeth, but it has the strength and beauty of porcelain. Below is Ms. Smith final smile. On the delivery day of her definitive prosthesis, she brought in gum to chew; something she missed for many years. With proper planning, there are options for individuals that have aggressive gum disease or cavities. We offer teeth that can snap on over implants or, similar to Ms. Smith’s, a non-removable option that functions just like natural teeth. You don’t have to wear the kind of dentures your parents might have; you deserve a better smile! I am a 68 y/o male that has had full dentures for about 30 yrs. I haven’t had very much trouble with my teeth, except getting food trapped between them and that can be very distressing as well as embarrassing. I would like to experience dental the freedom of dental implants. Finally a great article about dental implants. Thanks! Keep up with the good work. Nice read!